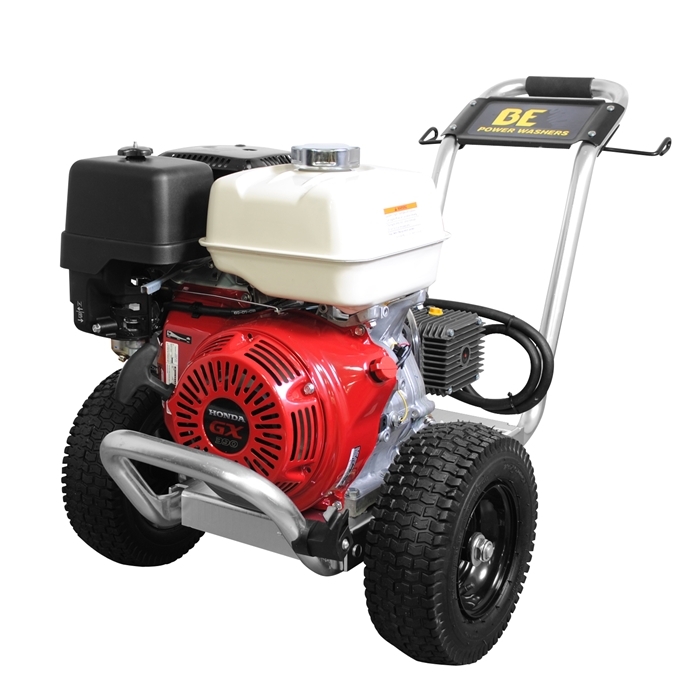 • Powered by a reliable Honda GX390 gas engine. • Durable aluminum frame with solid welded anti-vibration rubber foot. Compact design with easy carrying and transport.